Room prices: from 70 to 85 € (depending on the season) for double room with breakfast. For any request or communication contact us through our form. 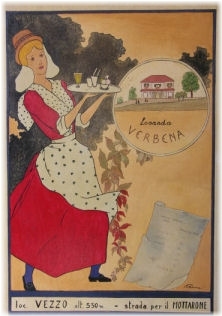 LOCANDA VERBENA CAFFE' declare that the information requested above will not be disclosed or shared with third parties and will be processed by computer for the purposes described. He also informed that the processing of personal data in compliance with what is covered by the new Privacy Provisions (Decree. June 30, 2003 196 of the new code). If You wish to modify, cancel or just refuse the processing of the data, simply send an email to info@locandaverbena.com.